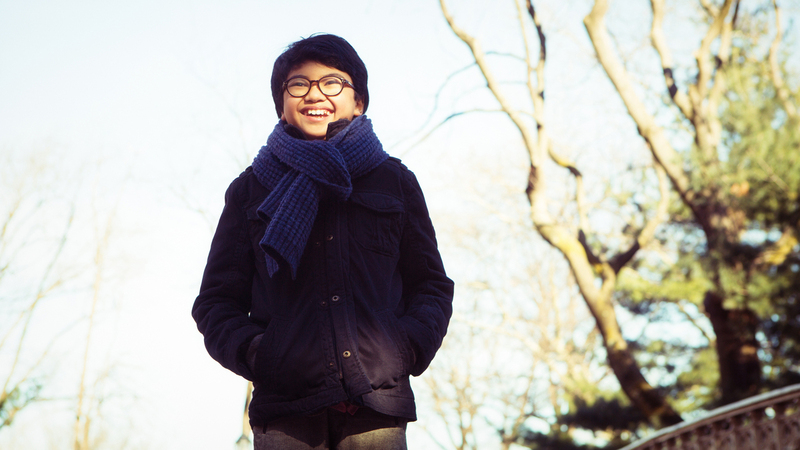 A (Very) Young Jazz Pianist Takes Giant Steps Towards Musical Mastery In the midst of releasing his debut album and playing the Newport Jazz Festival, 12-year-old piano prodigy Joey Alexander is staying centered. Alexander has been wowing critics, fellow musicians and just about everyone who's heard him — but Jason Olaine, who has heard a few musicians in his time, thinks people should forget about the pianist's age. Olaine is director of programming for Jazz at Lincoln Center in New York, and he produced Alexander's debut album, My Favorite Things. "Just close your eyes, and listen to Joey," Olaine says. Josiah Alexander Sila grew up in Indonesia, where his parents ran a travel business. "Well, my dad played a little bit of piano and guitar, but not that professionally," Alexander says. "I saw him play and [felt] like, 'I want to play. I want to try this instrument.'" He also fell in love with his Dad's record collection, which included Duke Ellington, Billy Strayhorn, Miles Davis, John Coltrane and Bill Evans. He was especially captivated by one of Thelonious Monk's recordings, "Well You Needn't." Alexander figured out how to play it, by ear, when he was 6. "I love Monk. He's such fun, so much joy — and also very deep when you listen to him," he says. Alexander's family moved from Bali, where was born, to Jakarta so he could play with some of Indonesia's best jazz musicians. That's where fellow pianist Herbie Hancock first heard him. Word started getting around, and soon he was invited to play at Jazz at Lincoln Center. Alexander was 10 at the time, and Olaine says a Monk tune he played on that visit impressed the musicians gathered for a rehearsal. "Joey plays a version of 'Round Midnight,' and everybody's jaws dropped — like, looking at Joey and looking at each other," Olaine remembers. "And they're laughing, like this can't possibly be what we're hearing. He took another take afterwards, it was a completely different arrangement. You kind of shrug your shoulders, look at each other, scratch your head and just go okay, alright — I've never seen this before." One of the musicians who plays on My Favorite Things is drummer Ulysses Owens, Jr. He's 32, and says that when he closed his eyes in the studio, he didn't hear a kid on the other side of the headphones. When they rehearsed and recorded "Giant Steps," Owens says, Alexander would play himself into a trance during the intros. "I watched him close his eyes, and I watched his head kind of just bobbing to the side. He has this thing that he does when he's really going somewhere, and I was like, this is freakin' amazing," Owens says, laughing. "Watching this little kid, he's going on all these harmonic adventures and melodic adventures, and doing some really hip stuff. He's just gone, he's just completely in this next stratosphere. I'm like, that is a gift, man. This kid is literally from another planet." Owens says it's not just Alexander's musicality that sets him apart, it's his spirit. Even with over 8 million views on one of his YouTube videos, Owens says, the young artist remains humble. "I actually think that's what's going to separate Joey, is really his humanity," Owens says. "Because for a child this age, getting the kind of coverage and exposure he's getting, they easily lose it. But I think Joey has a core inside of him, a spiritual core that is transcending through his music. That's what I think is going to set him apart." Alexander's parents gave up their travel business and eventually moved the family to New Jersey so Joey could pursue music. When he's not performing, the young pianist is home-schooled. He also likes pop music — Michael Jackson, Aretha Franklin and The Beatles. "I'm still me," he says. "I play sports — like, I play a little bit of tennis, swimming, like a normal kid. I watch movies." Alexander says he's grateful for all of the support and encouragement he's received from so many of his fellow musicians. He's also thrilled to be a part of the New York City jazz scene, where so many of his idols first made those recordings he grew up hearing. "I'll always be a student. I learn by doing," he says. When Olaine points out that he studies the other musicians during rehearsals, Alexander reminds him: "That's what you have to do. That's how you have inspirations to become better."